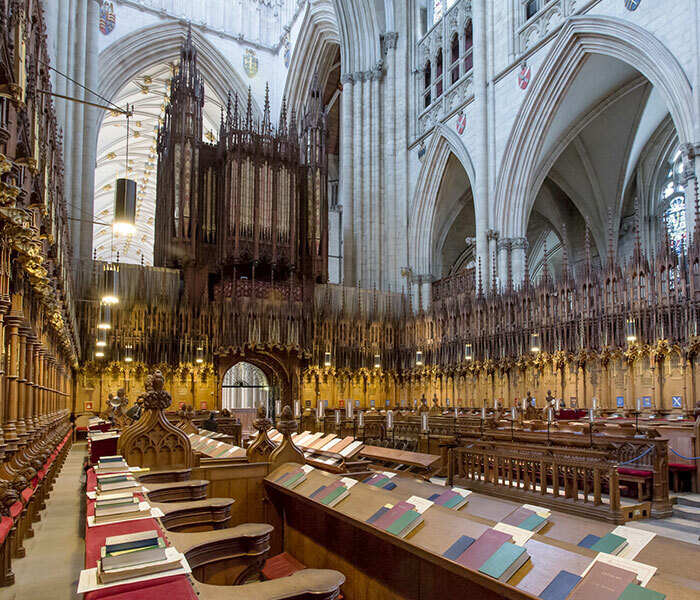 For 1,000 years or more, York Minster’s magnificent spaces have resounded with choral music. 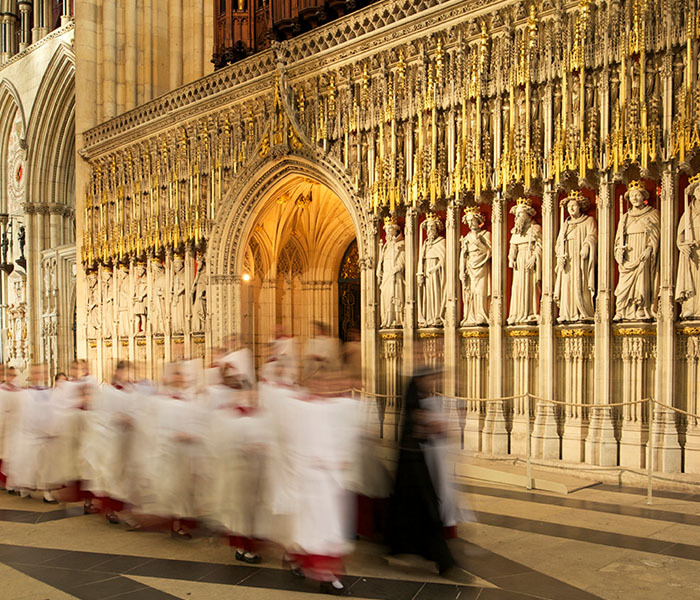 Today, the Minster’s world-class choir and organists perform at services most days during term-time, with the repertoire ranging from some of the earliest known choral music, to newly commissioned works. 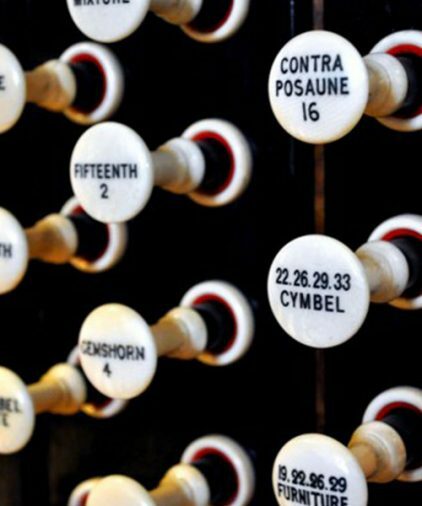 A range of concerts and recitals takes place throughout the year – see our What’s On section for details – ensuring music plays an integral part in the most celebrated festivals and poignant moments at the Minster. York Minster has one of the UK’s leading cathedral choirs; its mastery of the English choral tradition is one of the cathedral’s crowning glories. It includes adult Songmen, choral scholars and boy and girl choristers. The choristers are aged between 7 and 13 and are all students at the Minster School. The cathedral was among the first to introduce girl choristers, who share the singing equally with the boys at eight sung services each week during term time. If you are thinking of making a special journey to hear our choir, you can check details of our services, including the Service Scheme, or our What’s On section. Competition for places in the choir is high but the rewards are substantial. All choristers are educated at The Minster School and receive a bursary of 60% remission of fees, with the possibility of additional means-tested funding up to 100%. They also have the opportunity to sing in one of the world’s most magnificent cathedrals each day, as well as taking part in recordings, live TV and radio broadcasts and international tours. For more information and to apply, visit The Minster School’s website. The choir has seven Songmen who are paid, professional singers committed to maintaining and developing musical standards at the cathedral. The five Choral Scholars are paid student singers who gain experience in church music, working alongside professional musicians. For further details, contact the Director of Music, Robert Sharpe. Deputy singers substitute on an occasional basis for our permanent Songmen and Choral Scholars. If you would be interested in auditioning for the deputy list and are an experienced singer with good sight reading skills, please contact Robert Sharpe, Director of Music. The choir has made a number of acclaimed recordings which are available to buy from the York Minster Shop. During the Minster Choir’s holidays there is an opportunity for other choirs to sing at services. Interested choirs should be able to sing psalms, responses, settings of the canticles and anthems at Evensong, as well as music for the Eucharist if singing on a Sunday. Choirs will be asked to send a recent live recording in advance of their visit. For further information, please contact Ben Morris, Assistant Director of Music on t: 01904 559511, e: benm@yorkminster.org or download visiting details below. For information on the YMCA and membership enquiries, download their PDF here. 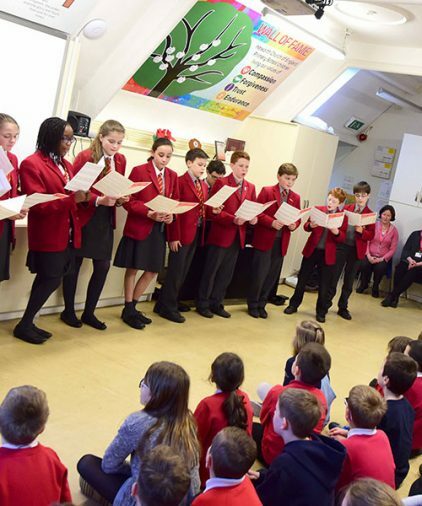 During each school term, specialist music staff from York Minster and The Minster School visit three York schools to run workshops with pupils in years 3 to 6. The programme encourages children to explore and enjoy music and singing and culminates in an end-of-term concert at the Minster. To find out more or to put your school forward to take part, contact Alison Forster, Director of Music at the Minster School. Organ music is played daily at the Minster. The Grand Organ, one of four pipe organs at the cathedral, dates from 1903 and is currently the subject of a major, once-in-a-century restoration project. 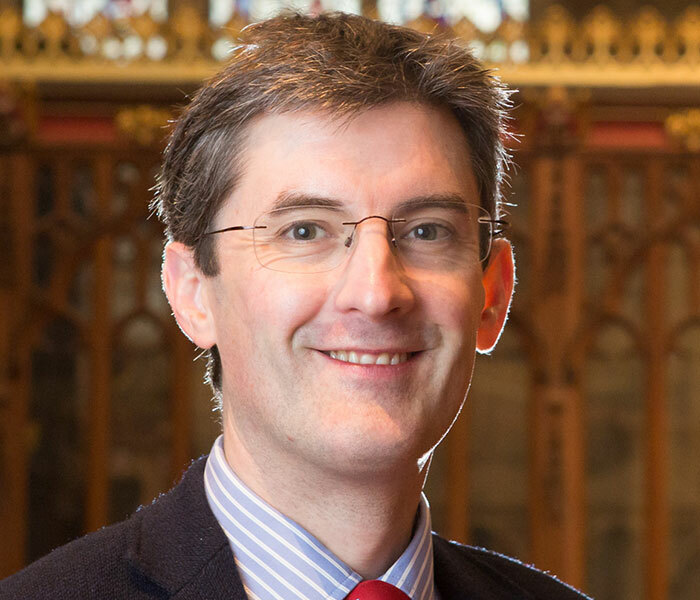 Robert joined the Minster in 2008 and is responsible for organising and directing all aspects of the Minster’s music, as well as arranging its programme of concerts, broadcasts and tours. He is a well-known organ recitalist and has made a number of acclaimed recordings as a choral director and organist. Since joining the cathedral in 2015, Ben’s role involves playing for services and to accompany the choir in the cathedral’s daily cycle of music, as well as supporting the training of the choristers. 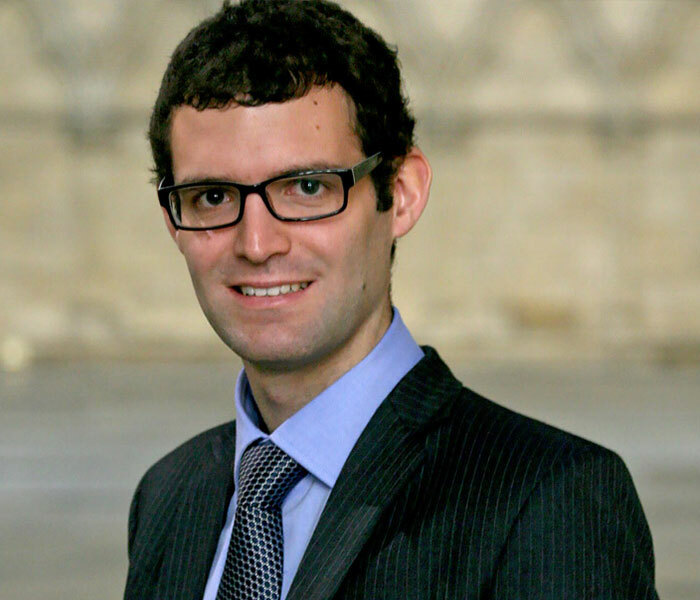 He is a prizewinning Fellow of the Royal College of Organists and is increasingly engaged as an organ soloist. Philip Moore was Organist and Master of Music at York Minster from 1983 to 2008. Download a complete list of his compositions, covering more than 50 years and 400 pieces. Dr Francis Jackson CBE is Organist Emeritus of York Minster, serving as the Minster’s Organist and Master of Music from 1946 to 1982. Download a list of his choral and instrumental works below. 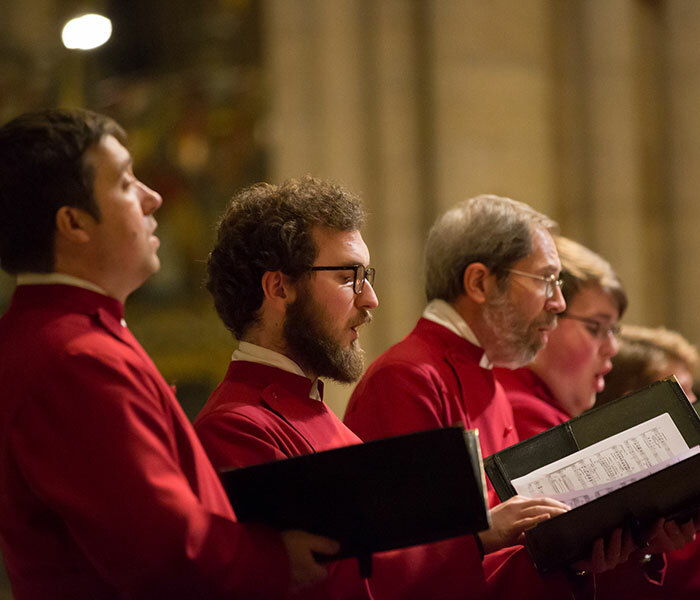 The Friends of Cathedral Music, founded in 1956, aims to safeguard the living tradition of English church music, increase public awareness and appreciation of cathedral music and encourage high standards in choral and organ music. 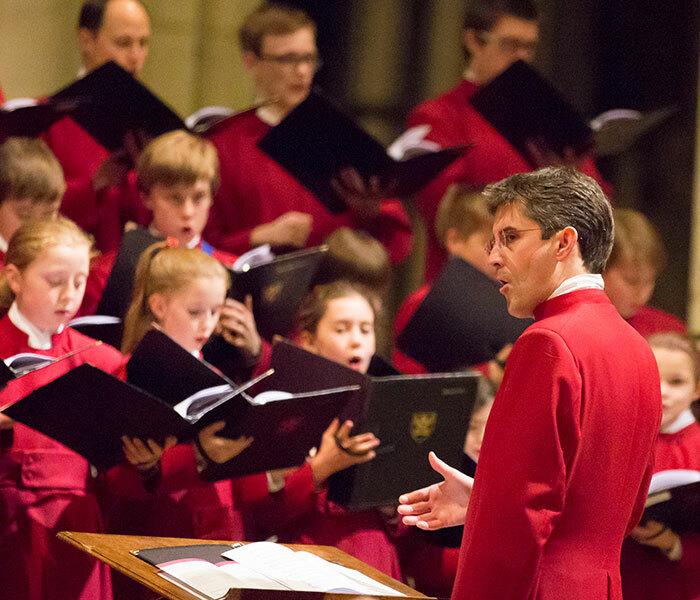 Over £2 million has been given to cathedral, church and collegiate chapel choirs endowing choristerships, and in working to maintain the cathedral tradition of choral worship. York Minster is one of those cathedrals which has benefitted from FCM support.